As an employer you get that your staff needs occasional time away from work due to illness, a planned vacation, or just to run errands during business hours. But not all absences are created equal. Oftentimes there are personal issues that employers may not be aware of that impact the need for time away from work. Burnout, stress and low morale – Heavy workloads, stressful meetings/presentations and feelings of being unappreciated can cause employees to avoid going into work. Personal stress (outside of work) can lead to absenteeism. Childcare and eldercare – Employees may be forced to miss work in order to stay home and take care of a child/elder when normal arrangements have fallen through (for example, a sick caregiver or a snow day at school) or if a child/elder is sick. Depression – According to the National Institute of Mental Health, the leading cause of absenteeism in the United States is depression. Depression can lead to substance abuse if people turn to drugs or alcohol to self-medicate their pain or anxiety. Disengagement – Employees who are not committed to their jobs, coworkers and/or the company are more likely to miss work simply because they have no motivation to go. Illness – Injuries, illness and medical appointments are the most commonly reported reasons for missing work (though not always the actual reason). Not surprisingly, each year during the cold and flu season, there is a dramatic spike in absenteeism rates for both full-time and part-time employees. Injuries – Accidents can occur on the job or outside of work, resulting in absences. In addition to acute injuries, chronic injuries such as back and neck problems are a common cause of absenteeism. Job hunting – Employees may call in sick to attend a job interview, visit with a headhunter or work on their resumes/CVs. Make sure that employees have access to employee assistance programs, either through your company’s benefits package or via their health insurance plan. Give employees options for seeking help with dealing with emotional issues that impact work performance. Start a “healthy employee” campaign which includes the basics such as the importance of hand washing regularly so as not to spread cold and flu germs to others. Walking and running clubs as well as company sports programs and healthy eating programs are great ways to encourage employees to stay active and to embrace healthier eating. 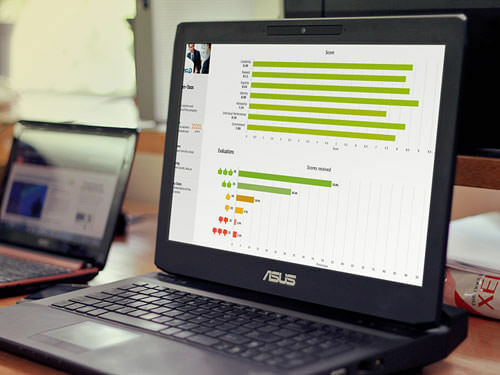 Take an unbiased look at your company culture. Do you have policies in place that advocate a zero tolerance level for issues such as workplace bullying or discrimination? Is there a transparent process for employees to comfortably address any concerns that they may have regarding their work experience? Foster a culture that makes employees want to come to work. In companies where morale is poor, absenteeism issues are often at a high. Make sure that your employees know that your company is one that treats others with respect and common courtesy. 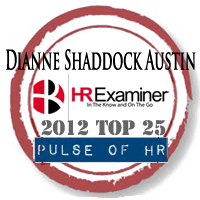 Act swiftly to address employee issues. Make sure that management is accessible to staff. Make safety a priority: Employees should be clear about how they can reduce accidents and injuries at work. Make sure that employees understand the importance of wearing safety equipment if applicable or that they should immediately report or clean up simple spills such as coffee that could result in a slip and fall. 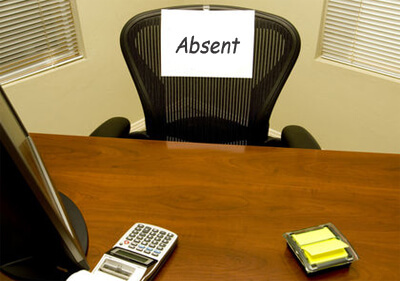 There will always be a myriad of reasons why employees may need time away from work but employers can play a more active role through in-house policies and workplace practices that will mitigate absenteeism and decrease stress for staff. Free Ebook: A Crash Course on Building Employee Retention – Actionable information and advice on how to keep your best employees happy.